Update: KQED is re-airing Light of the Valley in February and March 2014! We are thrilled to announce that Light of the Valley will be broadcasting on KQED in January 2014. Light of the Valley will air on KQED Friday 1/17 at 10pm, following a 60 minute special called Seven Wonders of the Buddhist World. The show will repeat Monday 1/20 at 11:30pm. 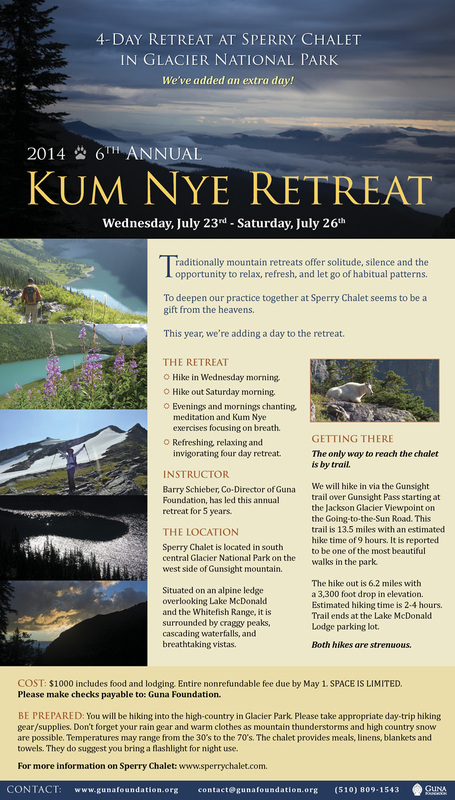 Update: This retreat is full, however there are spots available in our September 2014 Retreat. This has become a popular retreat, space is limited. Please email contact@gunafoundation.org if you are interested. Nonrefundable deposit of $100 in January required to reserve your spot.